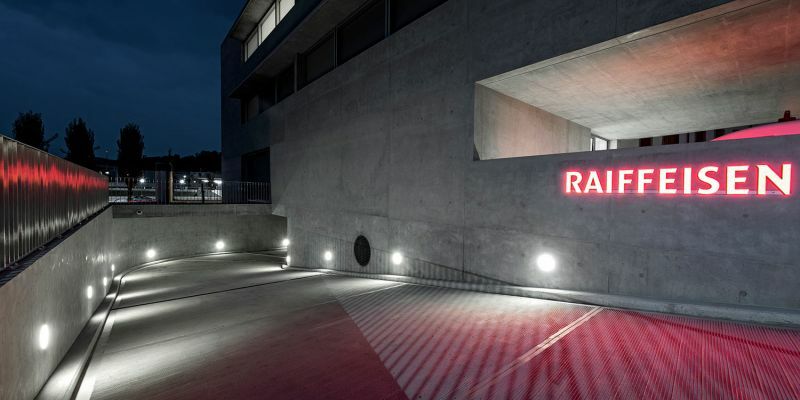 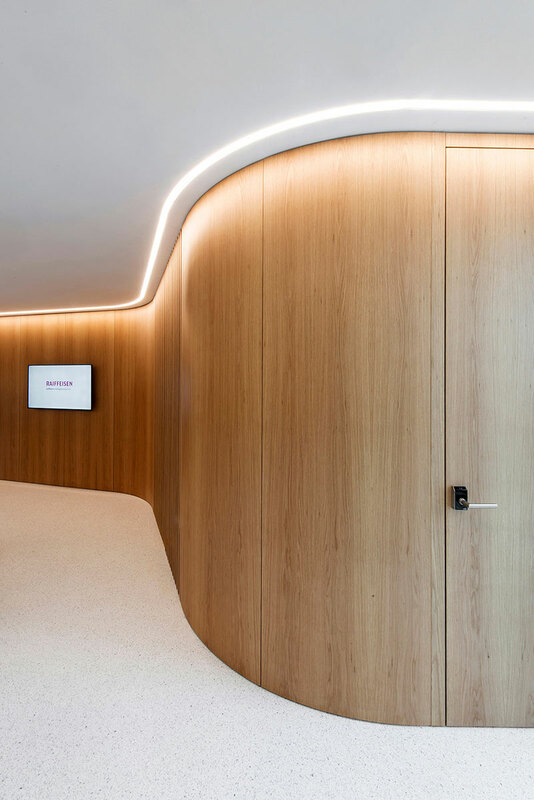 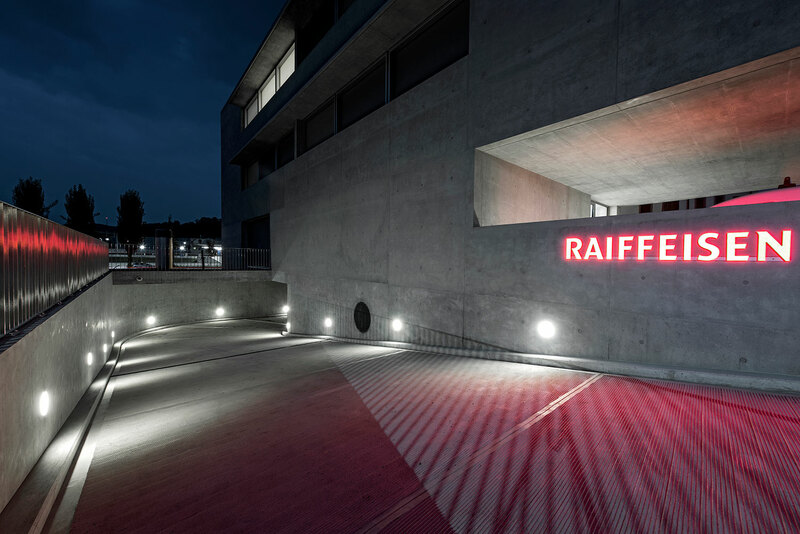 The new Raiffeisen Bank offices in Stabio are characterized by an innovative and futuristic architecture with curves and edges and its lighting project accompanies and enhances this architectural value. 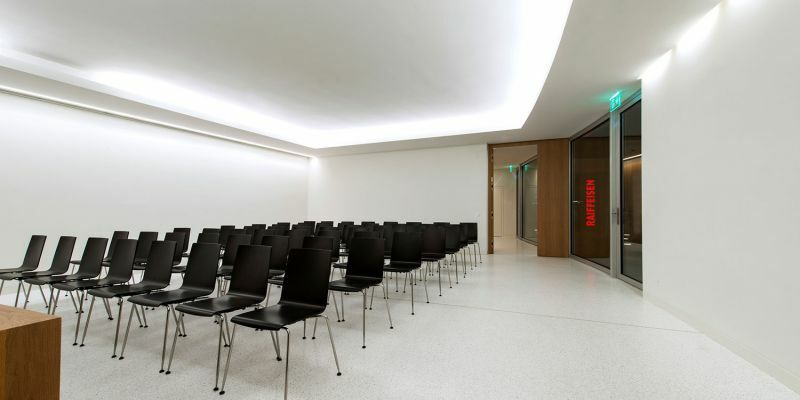 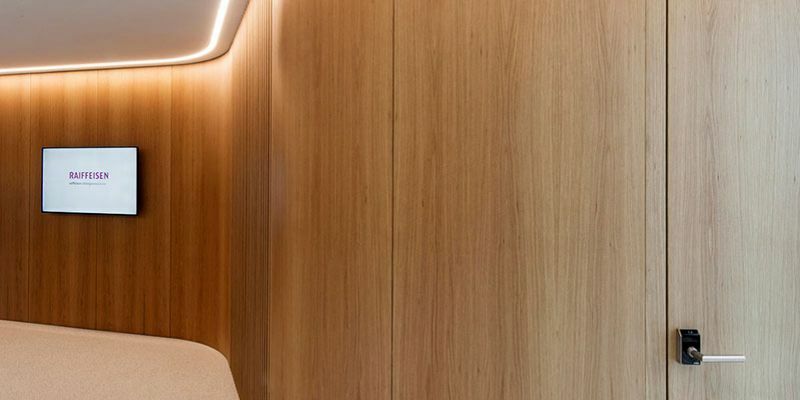 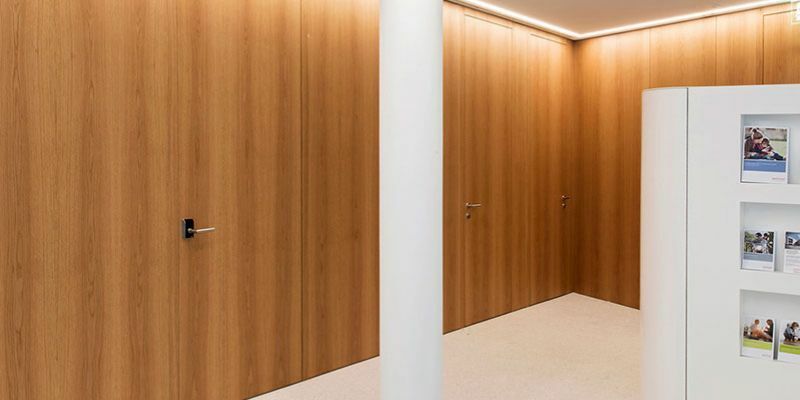 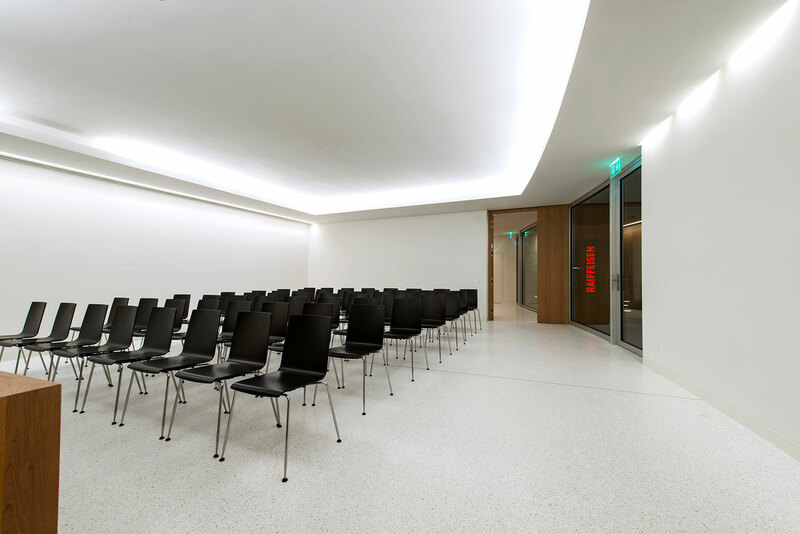 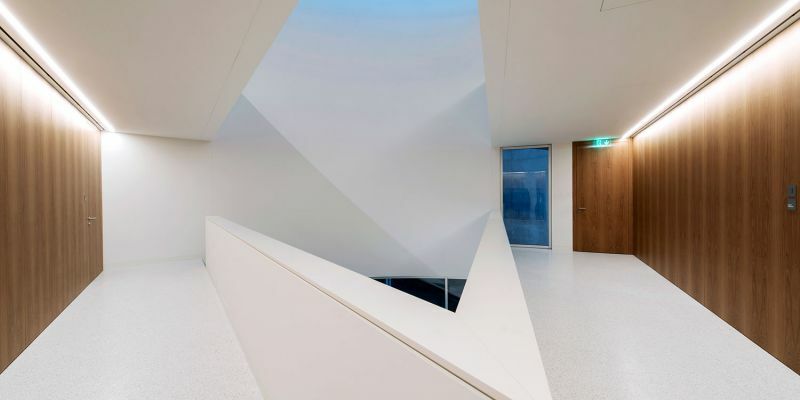 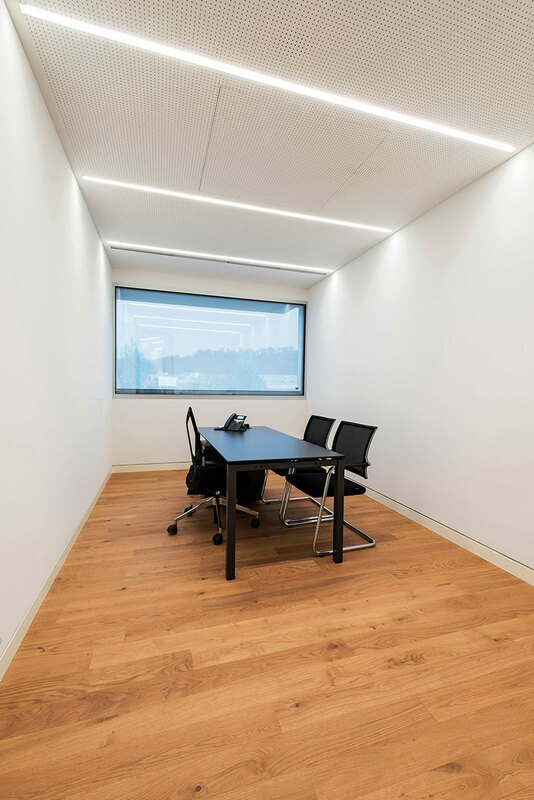 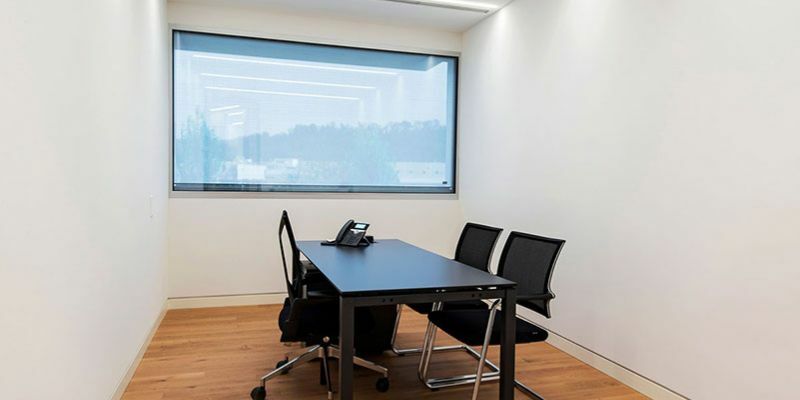 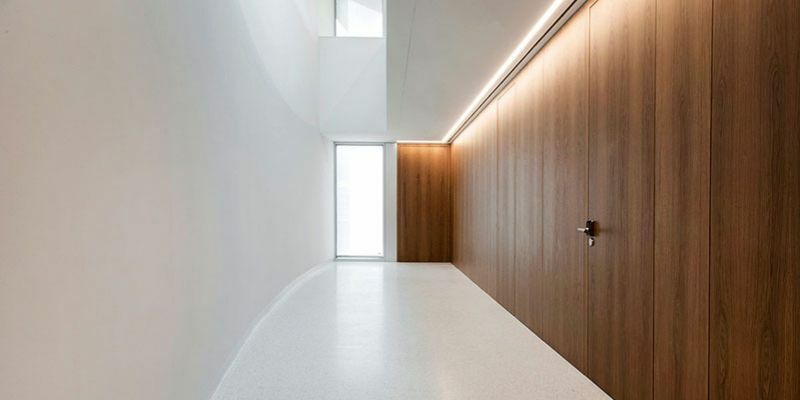 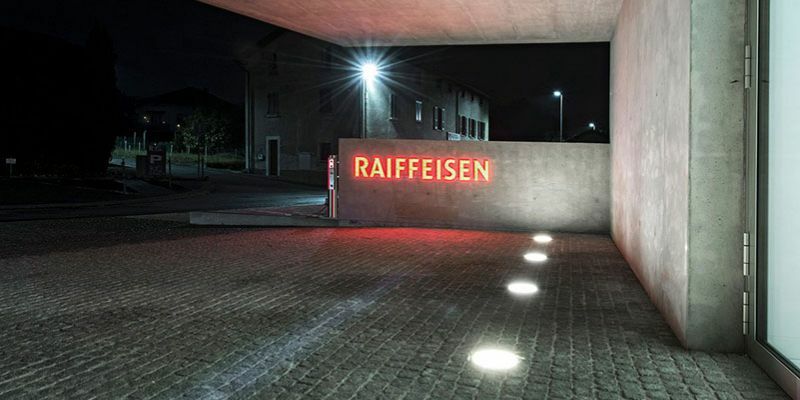 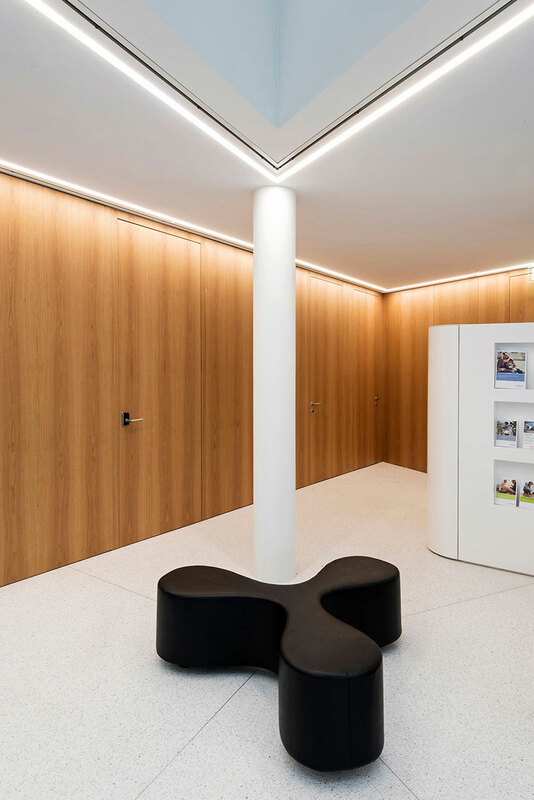 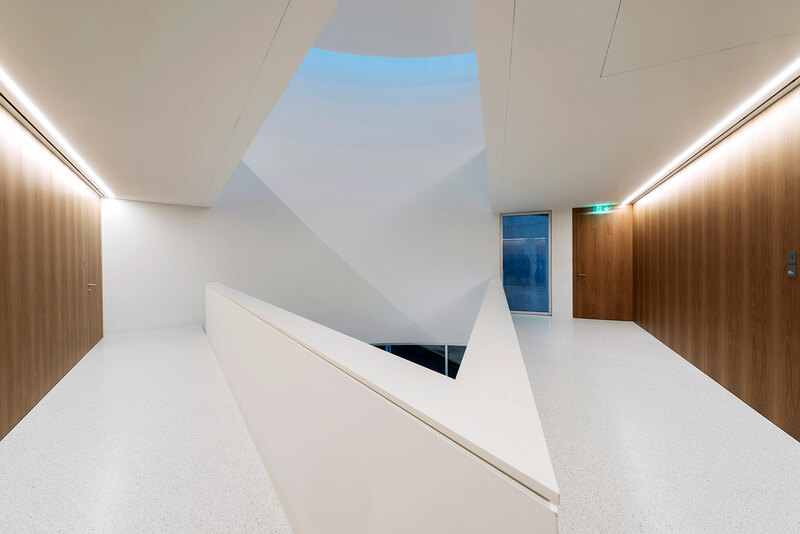 The new internal and external lighting is a calling card for the Clients of Raiffeisen Bank: thanks to a clear and continuous light between the spaces, the user feels totally protected and guided through the various spaces. 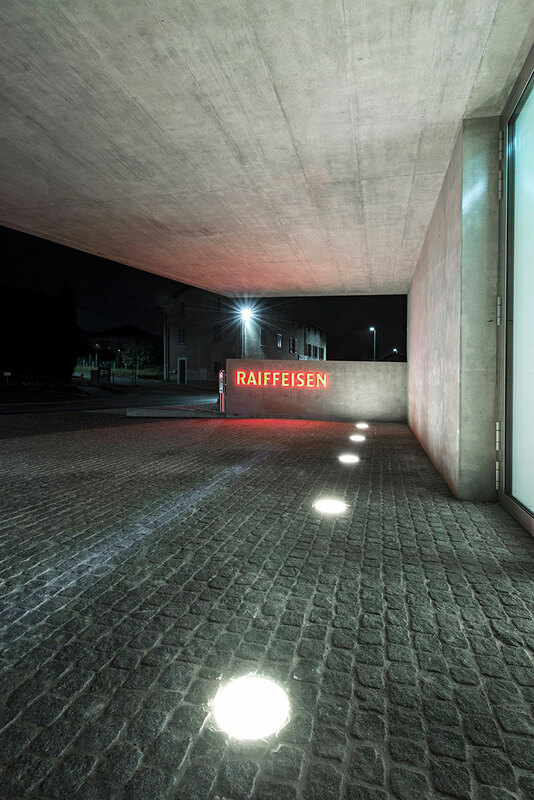 The bank's identity and reliability find their expression in this kind of lighting. 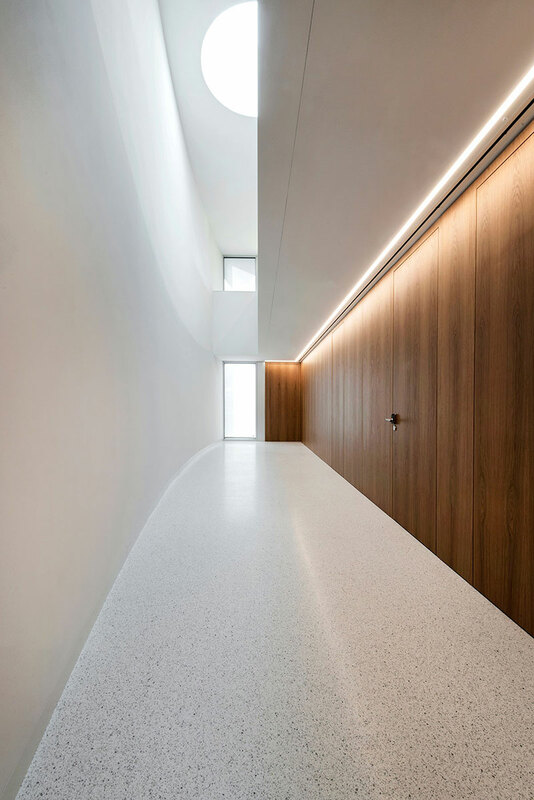 In the inner spaces, special linear solutions have been installed in order to accompany the fluid details but also the edges of the building, taking always into account the workers’ comfort. 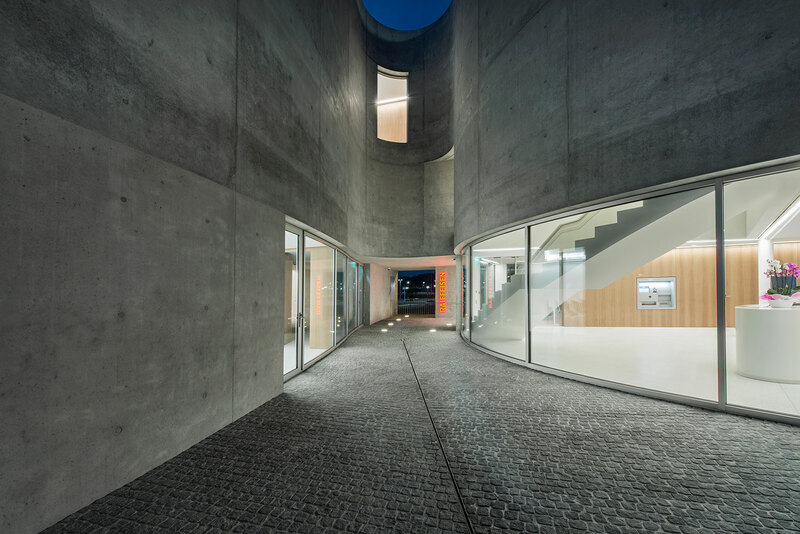 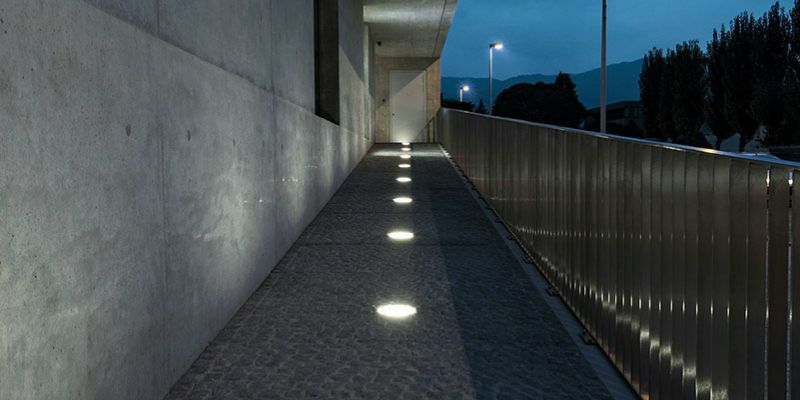 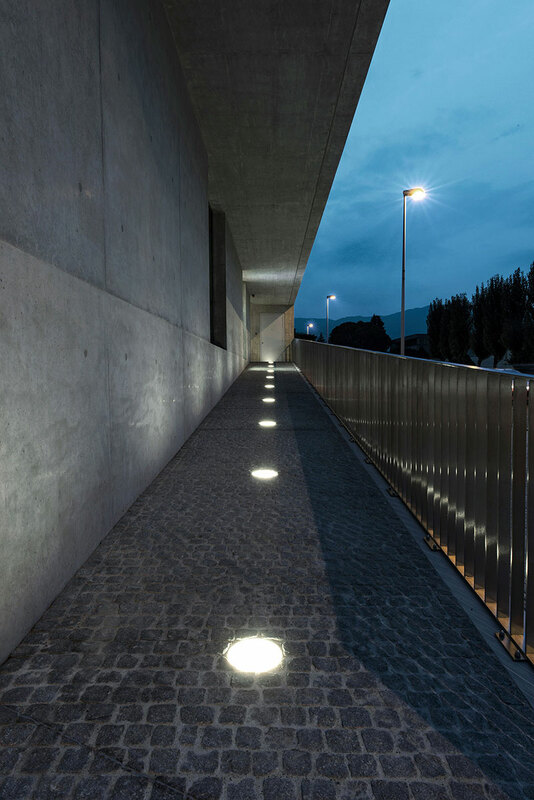 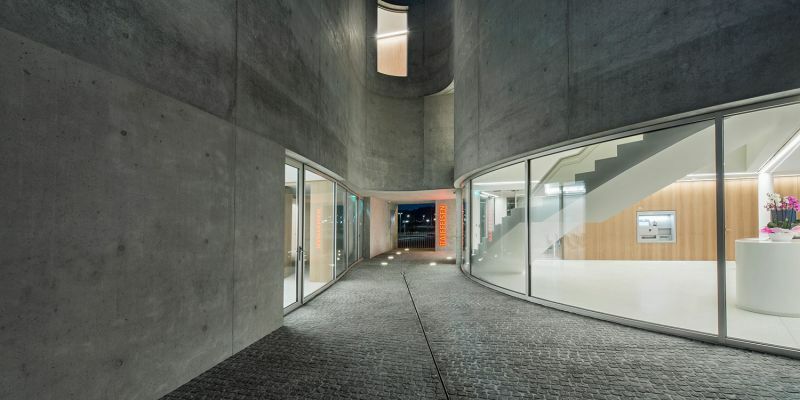 On the other hand, the outdoor pedestrian and car ramps are illuminated by circular recessed luminaires, which give a unique appeal to these environments during the night.